Ideal when it comes to quick clean up when removing grease, paint, silicone, foam and adhesives. 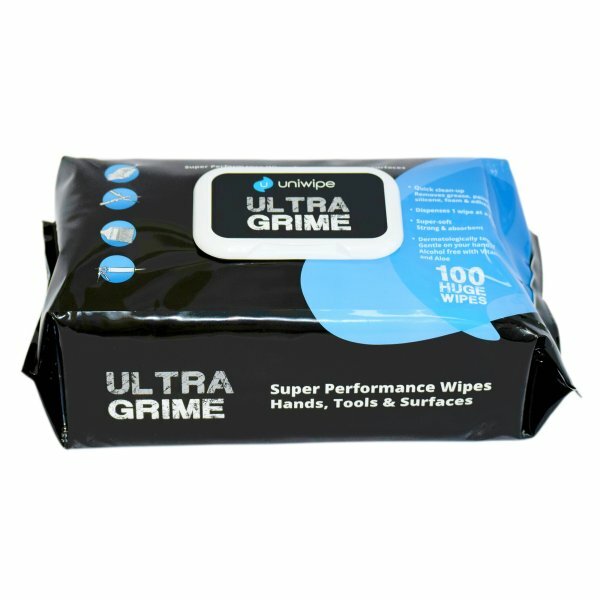 UltraGrime are the biggest and best wipes you can buy. Use these dirt eating wipes all day, every day on your hands, tools and many other surfaces, including fabric and upholstery. They effortlessly cut through oil, grease, ink, paint, silicone, bitumen, uncured PU foam and other stubborn, ground-in grime – they’re your ultimate cleaning companion! Use to Clean up your tools, hands and simply any surface! 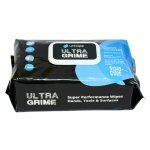 UltraGrime are perfect for busy decorators to ensure the job is left tidy and clean.